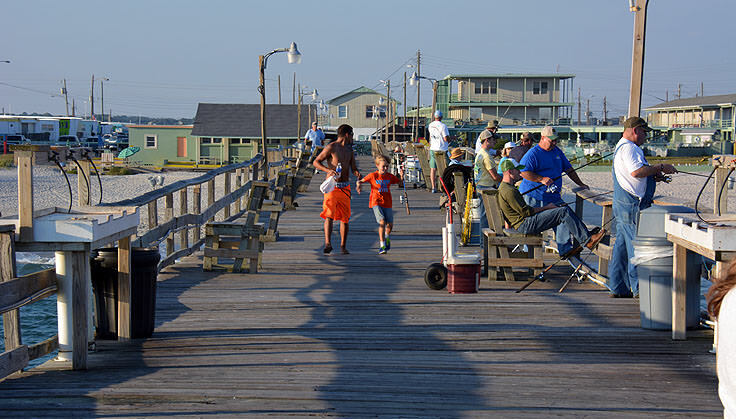 A stop at the Oceanana Fishing Pier, and a stay at the adjacent Oceanana Resort, has been an Atlantic Beach family tradition for more than 60 years. 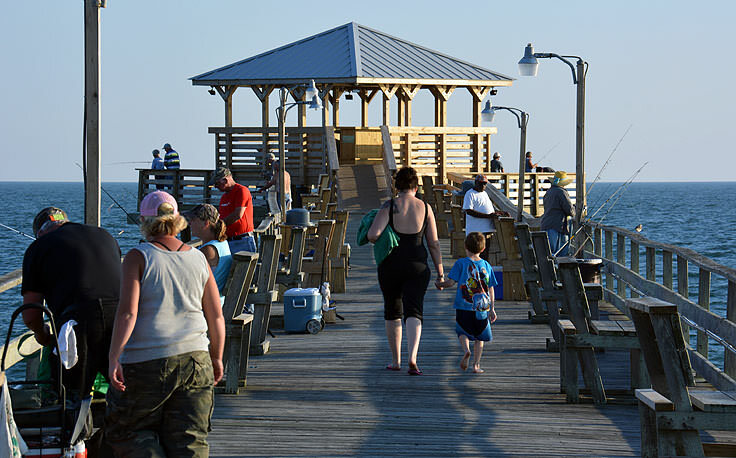 A local icon for anglers and beach-goers alike, Oceanana Fishing Pier is the only pier in the beachside town, and is an unmistakable local landmark that jets nearly 1,000' feet into the Atlantic Ocean. 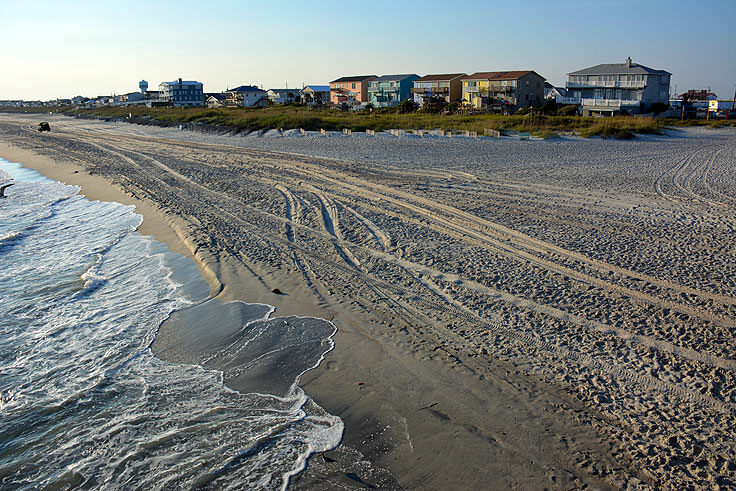 Open year-round, for generally all hours of the day or night, the Oceanana is a must stop for any Atlantic Beach-er on the hunt for great fishing, good food, and some of the best panoramic ocean views on the Crystal Coast. The Oceanana Resort itself was one of the early resort complexes along the oceanfront, and was established in 1959 by A.B. Cooper, Sr. 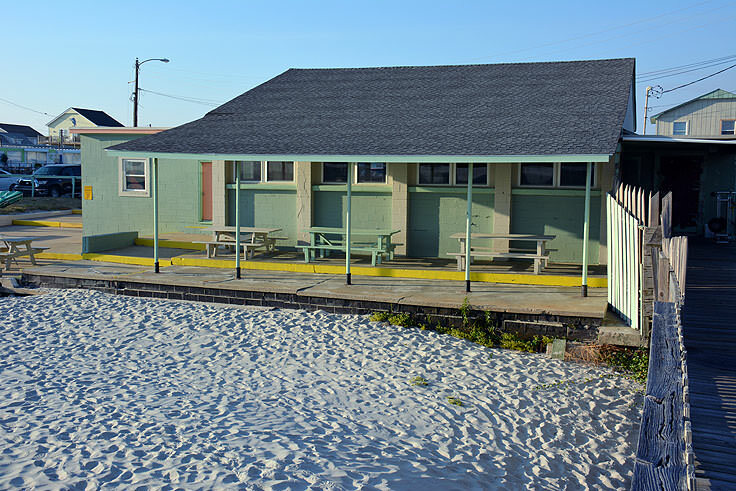 Advertised as the "The Family Playground of the South," the small and originally fairly isolated motel and pier remained popular, and inspired additional growth in the small coastal town. A.B. 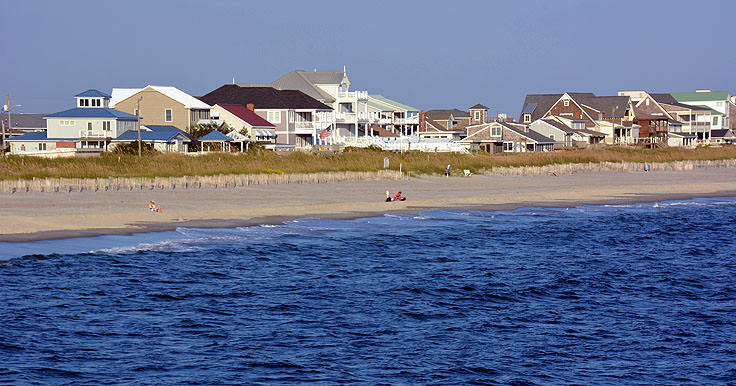 Cooper himself managed the property until his death in 2001, and today the Cooper family still operates that pier, resort, and on-site restaurant that generations of families have enjoyed during their annual vacation to Atlantic Beach. 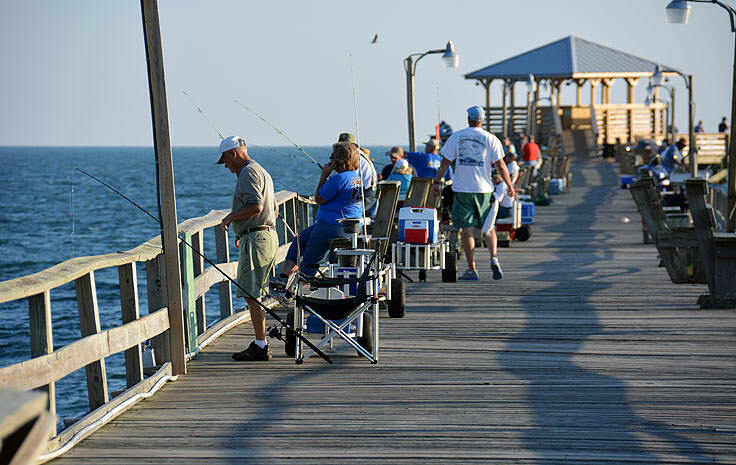 The fishing pier is arguably the most popular aspect of the Oceanana complex, and entices anglers from all over the Crystal Coast region and beyond with world-class catches in virtually all seasons. In the summer months, lucky anglers can expect to reel in spots, croakers, mackerels, pompano, and even "Carolina Doormats," or flounder, while fall and spring anglers flock to the pier in droves to take advantage of the incredible black and red drum fishing that heats up when the weather cools down. The pier isn't just for anglers, however, and photography fans, sightseers and romantics can enjoy a lazy stroll along the long wooden structure at any time, settle into one of the dozens of built-in benches, and take in the stunning oceanfront scene that stretches for miles along the Emerald Isle coastline. There's also a shaded gazebo waiting at the very edge of the 1,000' foot long structure, which offers a little shade and an uncompromising view of the Atlantic Beach landscape. Both fishing and strolling is available to all visitors, and is often complimentary for resort guests. Rod and reel rentals, as well as fresh bait, lures, and rigs, are available at the on-site pier house, making any fishing trip a decidedly convenient adventure. 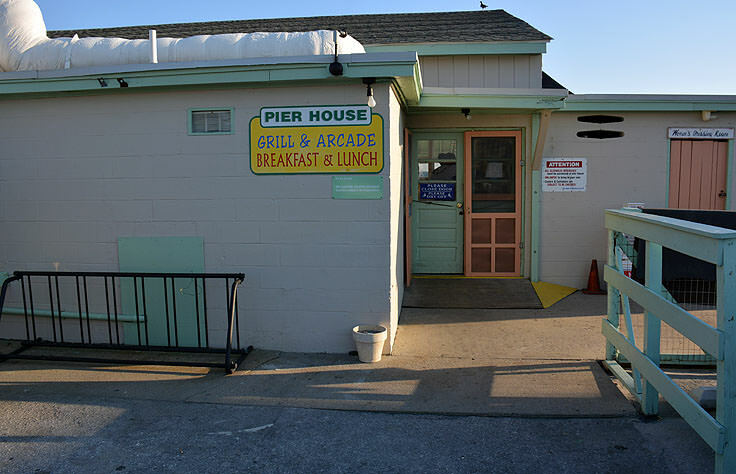 A small arcade and a selection of local souvenirs are also available at the pier house, for kids and adults who'd rather check out the indoor action and shopping options. For Oceanana patrons who haven't fished or walked the plank in a couple of years, the pier will be an especially unique, and almost unrecognizable destination, as Oceanana underwent an extensive renovation in the winter of 2013, remodeling the pier house from the ground up, and remodeling about 110 rooms in its adjacent motel. Atlantic Beach fans are encouraged to swing by during their vacation to scope out the new digs, and enjoy the fresh new interior of this local established treasure. A visit to the Oceanana Pier, the Oceana Resort, or the local on-site grill is a tradition that has been a staple of an Atlantic Beach vacation for decades. 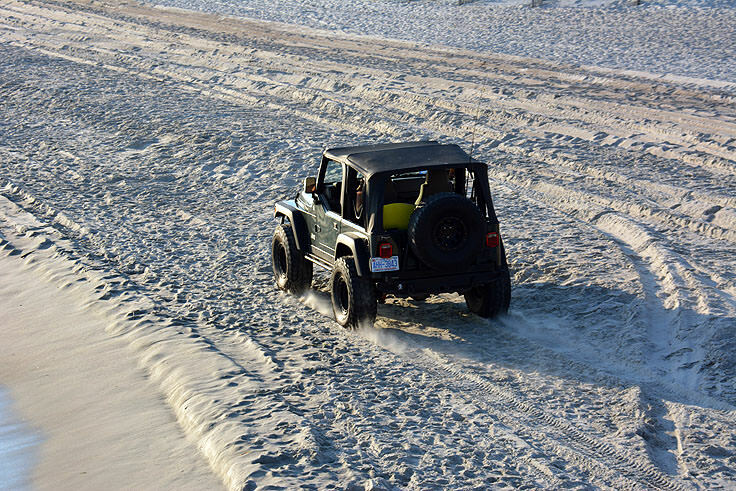 As the preferred local spot for exceptional fishing, a tasty and easy breakfast, or just a miles-wide ocean view, a visit to the pier is all but required for any Crystal Coast beachside vacationer. A budget-friendly outing that's entertaining for kids and adults of all ages, the Oceanana Pier ranks at the top of "Must See" attractions in busy Atlantic Beach. Call 252-726-0863 for current hours.